The incredible true story of nine Hellcat submarines assigned to penetrate the dense minefields protecting the sea of Japan. In 1945-with no knowledge of the development of the atomic bomb- American submarine commanders, desperate to avoid an invasion of the home islands, believed that if the Japanese merchant fleet was sunk, the enemy would be forced to surrender. The problem: the ships were protected in the Sea of Japan from American submarines by a seemingly impenetrable barrier of deadly minefields. For the first time, Peter Sasgen tells the gripping story of Operation Barney, a mission in which nine submarines, nicknamed Hellcats, were tasked with the impossible—get through the underwater mines and decimate the enemy fleet. Success would hinge on a new experimental sonar system that would, with luck, guide American submarines safely past the mines. 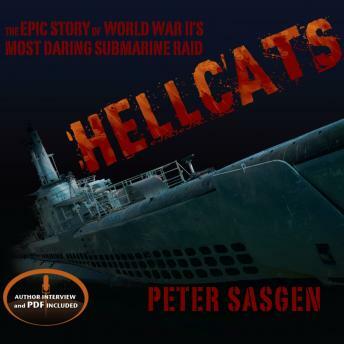 Drawing on original documents and the poignant personal letters of one brave Hellcat commander, Sasgen crafts a classic naval tale of the heroic submariners and one of World War II’s most ambitious and dangerous missions.